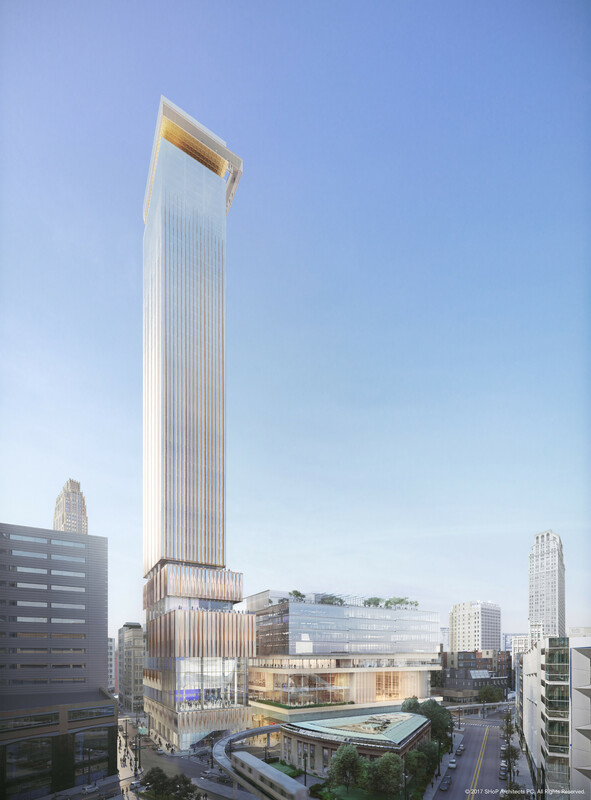 A new 800ft (243.84m) tall skyscraper is coming to Detroit’s downtown. The 58-story, 800-foot building will soon dominate the Detroit skyline on the site of the former iconic J.L. Hudson department store. 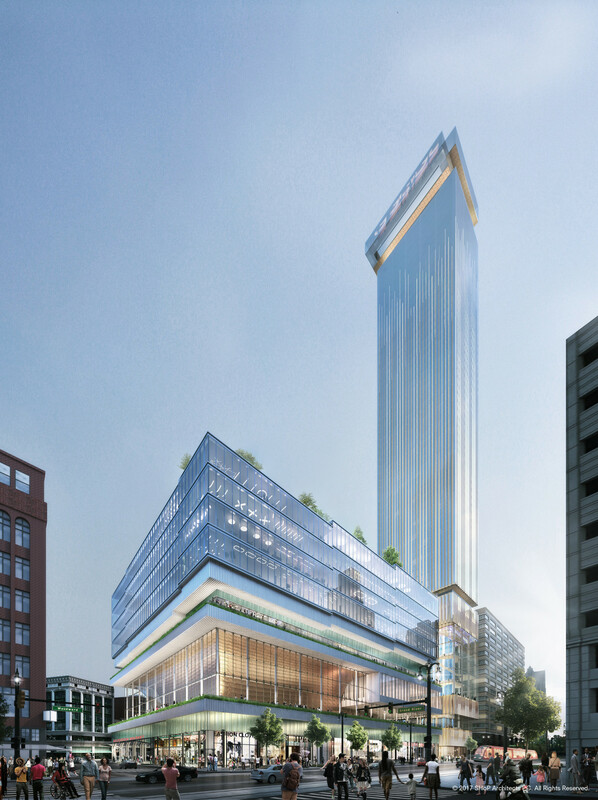 Bedrock Detroit’s $900 million, two-building project will include the 58-story residential tower and 12-floor building for retail and conference space. 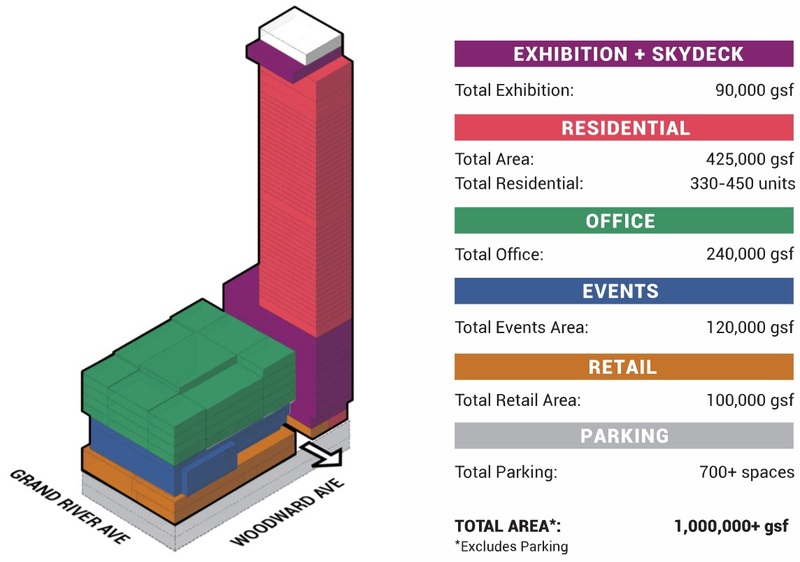 Up to 450 residential units can be built in the tower.